Since 1948, International Credit Union Day has been celebrated annually on the third Thursday of October. Each year, the international event affords the opportunity to remember credit unions’ proud history and promote awareness of and support for the credit union difference. 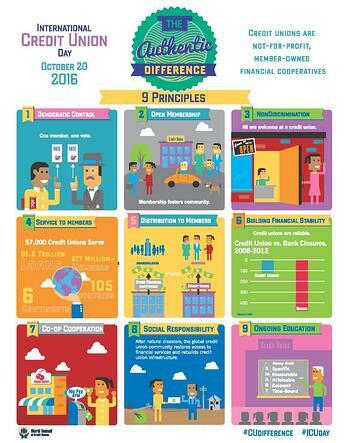 Credit unions are not-for-profit financial cooperatives that provide an effective and viable alternative to for-profit financial institutions for more than 200 million members in 101 countries worldwide. They exist to serve their members, providing a safe place to save money and access affordable loans.